Product prices and availability are accurate as of 2019-03-25 15:40:43 EDT and are subject to change. Any price and availability information displayed on http://www.amazon.com/ at the time of purchase will apply to the purchase of this product. 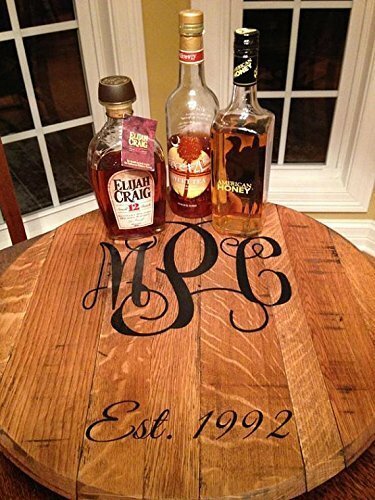 This artisan Lazy Susan was made from a used Kentucky Bourbon Barrel head. It measures roughly 21" in diameter and will be customized with your Name or Monogram and Established date if desired.